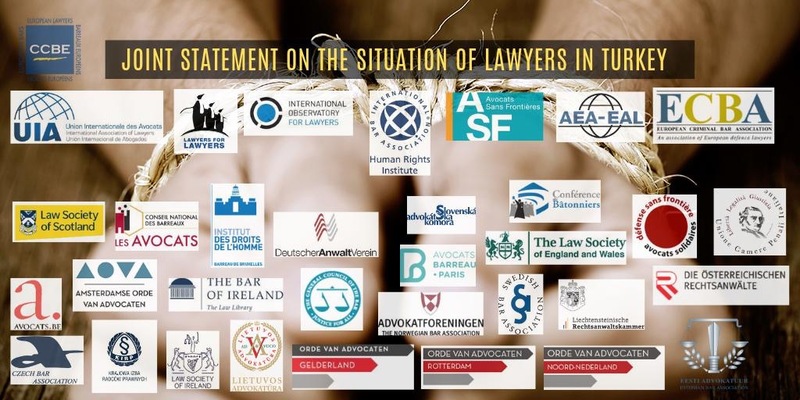 On this day, 5 April 2019 – celebrated as Lawyers’ Day in Turkey – 34 organizations, including Lawyers for Lawyers, take the opportunity to strongly condemn the ongoing crackdown against lawyers in Turkey. View the full statement here. Following the failed coup d’état of 15 July 2016, the Turkish government declared a state of emergency and adopted a series of decree-laws that seriously undermined human rights and the rule of law across the country. Although the state of emergency was lifted in July 2018, many of the decree-laws were integrated into ordinary laws and the persecution of lawyers continues, including mass arrests, unfair trials and harsh sentences. ▪ 274 lawyers have been sentenced to long prison terms – the average prison term being 7 years. Lawyers are being targeted solely because they are carrying out their professional activities, on the basis of alleged accusations of supporting terrorist organisations. The use of “mass trials” against lawyers or lawyers’ associations is frequent and fundamental rights and procedural safeguards are often not respected. 🕊️✊#FreeTurkishlawyers: On the occasion of the Lawyers' Day in Turkey, the CCBE and several other organisations take the opportunity to strongly condemn the ongoing crackdown against lawyers in Turkey. Amnesty et plusieurs associations d’avocats sont devant l’ambassade de #Turquie à #Bruxelles. Ils demandent notamment la libération de 18 avocate·s condamné·e·s le 20/03 après des procès inéquitables. Today marks the ninth annual Day of the Endangered Lawyer, with this year’s focus on lawyers living and working in Turkey. The Day of the Endangered Lawyer provides an opportunity to learn about the personal and professional safety of lawyers around the world who are facing persecution, prosecution, arbitrary detention, threats, torture, assaults and death as a consequence of carrying out their professional duties, according to Lawyers’ Rights Watch Canada. According to an OHCR report, under the two years that Turkey was ruled under a state of emergency up until July 2018, nearly 570 lawyers were arrested, while 1,480 faced some kind of prosecution, according to the European Association of Lawyers for Democracy and World Human Rights. In the same period, the association noted 79 lawyers were sentenced to long-term imprisonment. ALDH also said that even after the state of emergency was lifted, “political trials against lawyers did not end”. “The UN Basic Principles on the Role of Lawyers are permanently violated by the Turkish prosecutors and judges”, the association said, relying on article 18 in particular, which said “lawyers shall not be identified with their clients or their clients’ causes as a result of discharging their functions”. 24 janvier 2019 – PARTICIPEZ ! Bu yıl Türkiye’deki avukatlara ithaf edildi. Avukatların mesleklerini her durumda özgürce,hiçbir korku ve kaygı altında olmaksızın yerine getirebilmesini güvence altına almak için kanun teklifi verdik. Bugün 24 Ocak Tehlikedeki Avukatlar Günü! Bu yıl, Avrupa Demokrat Avukatlar Birliği, bu günü Türkiye’deki avukatlara ithaf etti! Bağımsız savunmanın teminatı olan avukatlar, Türkiye'de, ölümle dahi sonuçlanabilen saldırılar altındalar! La Camera Penale di Trento aderisce all’iniziativa internazionale del prossimo 24 gennaio “Day of the Endangered Lawyer”. Giunta alla nona edizione, la Giornata dell’Avvocato Minacciato viene celebrata in tutto il mondo il 24 gennaio di ogni anno per ricordare l’anniversario della strage avvenuta il 24 gennaio 1977, e ricordata in Spagna col nome di “Matanza de Atocha”, quando un commando di terroristi neofascisti entrò in un ufficio di avvocati giuslavoristi situato, per l’appunto a Madrid, in Calle de Atocha, ed aprì il fuoco uccidendone cinque e ferendone quattro. La giornata è dedicata anche quest’anno alla drammatica situazione degli avvocati turchi. Dal 15 luglio 2016, data del tentato golpe, ad oggi, sono stati arrestati con giornalisti, accademici, , magistrati e attivisti dei diritti umani 594 avvocati, fra i quali 14 Presidenti o ex Presidenti di Ordini Forensi; 1546 sono sotto processo e 218 sono stati condannati a lunghe pene detentive. Inoltre, 34 associazioni forensi sono state sciolte. Nei processi a loro carico, gli avvocati vengono accusati proprio perché difendono coloro che sono sospettati di essere terroristi. Il rischio per gli avvocati penalisti è talmente alto che è diventato estremamente difficoltoso per chi viene arrestato trovare un avvocato che non sia imputato in un processo. Anche dopo la revoca dello stato di emergenza nel luglio 2018, i processi politici contro gli avvocati non si sono fermati. Ma non sono solo le sentenze di condanna della Corte Europea dei Diritti dell’Uomo a non essere eseguite dalla Turchia, dal momento che sono costantemente disattesi sia i Principi Fondamentali delle Nazioni Unite sul ruolo degli Avvocati, in particolare il n. 18 secondo cui “Gli avvocati non devono essere identificati con i loro clienti o con le cause dei loro clienti come conseguenza dell’esercizio delle loro funzioni”, sia la Raccomandazione agli Stati membri n. R(2000)21 del Comitato dei Ministri del Consiglio d’Europa, che ha riconosciuto espressamente la libertà dell’esercizio della professione forense nell’ambito della c.d. “Grande Europa”. Quasi ogni settimana viene celebrato almeno un processo contro un avvocato, specialmente a Istanbul. Per questo è evidente che gli avvocati ancora liberi stanno praticando la professione con il rischio elevatissimo di essere improvvisamente arrestati; impossibile però non ricordare anche l’omicidio del Presidente Tahir Elci del 28 novembre 2015 senza che sia stato fatto alcun progresso nelle indagini. L’avvocato, in Turchia come in tutto il mondo, è la sentinella dei diritti e difensore dei diritti fondamentali: proprio per questo è perseguitato anche in Italia, dove sono in aumento gli attacchi alla funzione difensiva. Tutti i Governi, compreso quello italiano, devono assicurare che egli possa svolgere la sua attività professionale senza subire alcuna intimidazione, impedimento, molestia o illecita interferenza, in ossequio al principio n. 16 dei Principi Fondamentali delle Nazioni Unite sul ruolo degli Avvocati. the National Union of Peoples’ Lawyers sounds the alarm on the escalating attacks against lawyers everywhere. These are dark times indeed, when lawyers are unjustly arrested and tried and even killed simply for the practice of law as a profession. The experience of our colleagues in Turkey is a prime example of how an autocratic system has led to the arrest and detention of hundreds of lawyers.. President Tayyip Erdogon suspended or dismissed about 4,238 judges and prosecutors. The vast majority of these lawyers, including two members of the constitutional court, are in prison and only a fraction have heard formal charges. Scores of lawyers are held in custody in Turkey simply for the practice of law as a profession. The accused are members of the Progressive Lawyers Association in Turkey (ÇHD), including ÇHD President, Selçuk Kozağaçlı, a Bureau member of the International Association of Democratic Lawyers (IADL). 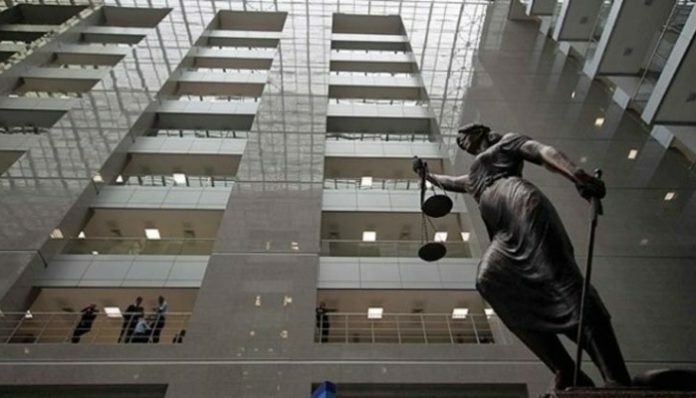 The unbelievable indictment claimed that these lawyers merely counseled detained people accused of membership in a banned Turkish organization and they are charged with visiting these individuals in prison, offering legal support, enabling their clients to invoke “the right to remain silent.” The Erdogan regime is targeting ÇHD and People’s Law Office members reportedly because these members continue to resist the regime’s campaign of systematic repression. It is no different in the Philippines, a country headed quite ironically by a lawyer himself. Here, at least thirty-five lawyers have been killed and several others harassed simply for abiding by their sworn oath to defend their clients. Many of these killings remain unsolved with no one held to account for the murders, thus the perpetrators continue to kill with impunity. Last year has been especially hard for the NUPL as we still mourn the loss of one of our beloved members, human rights lawyer Benjamin Ramos. Ben was gunned down by two unidentified men riding in tandem close to his home. For many years, he has dedicated his life in the staunch defense of the rights of the farmers, not only in Negros Island but also in other parts of the country. Many of the lawyers attacked or harassed are involved in human rights work, most of whom are members of NUPL. NUPL has been very critical of human rights violations committed by the State’s machinery and many of its members have been handling cases of sectors whose rights have been violated – indigenous peoples, farmers, workers, urban poor, political prisoners, human rights defenders and even suspected petty drug users. The harassment has spiraled to the point of red-tagging – accusing these dedicated lawyers as members of terrorist organizations. The intent of the killings and harassment is clear – silence dissent, penalize those who criticize government, discourage lawyers from taking up the cudgels in behalf the oppressed and poweless. Under the 1990 UN Basic Principles on the Role of Lawyers, all State parties shall ensure that lawyers are able to perform all of their professional functions without intimidation, hindrance, harassment or improper interference and where the security of lawyers is threatened as a result of discharging their functions, they shall be adequately safeguarded by the authorities. It angers us that many State parties have not only failed to comply with this obligation but are themselves violators and perpetrators of intimidation and harassment. But this is not the time to despair at the sheer number of deaths and unjust arrests and detention of lawyers worldwide. On this Day of the Endangered Lawyer, we call on all lawyers to close ranks and stand our ground in the face of attacks on the very exercise of our profession. We Filipino lawyers who are also under siege, stand in solidarity and unite with our Turkish colleagues and with lawyers from all parts of the world in condemning the trumped-up charges, the detentions, the labelling, the harassments, the intimidations and the killings. We ask that they be respected, protected, given due process and freed. We hold all autocratic governments accountable for failing to fulfill their obligations and for being themselves violators of these basic principles. Με αφορμή την Παγκόσμια Ημέρα του δικηγόρου σε Κίνδυνο (Day of the Endangered Lawyer), το ελληνικό τμήμα της ΑED (AVOCATS EUROPEEN DEMOCRATES) διοργανώνει την πρώτη του παρέμβαση με μία εκδήλωση αφιερωμένη στις διώξεις δικηγόρων και δικαστών στην Τουρκία. Στην εκδήλωση θα μιλήσουν ο Κ.Ε. (δικαστής από την Τουρκία), ο Cengiz Aktar (καθηγητής Πολιτικών Επιστημών στο ΕΚΠΑ), η Γιώτα Μασουρίδου (μέλος της Ένωσης Δικηγόρων για την Υπεράσπιση των Θεμελιωδών Δικαιωμάτων) και ο Βασίλης Παπαστεργίου (μέλος του Δ.Σ. του ΔΣΑ). Επίσης, μέσω Skype θα παρέμβει η δικηγόρος Elvan Olkun από την Τουρκία, ενώ χαιρετισμό θα απευθύνει ο πόεδρος του ΔΣΑ, Δημήτρης Βερβεσός. Η εκδήλωση θα πραγματοποιηθεί αύριο (Πέμπτη 24 Ιανουαρίου) στις 3.00 το μεσημέρι στον ΔΣΑ (Ακαδημίας 60), στην αίθουσα «Μιχάλη Επ. Ζαφειρόπουλου». 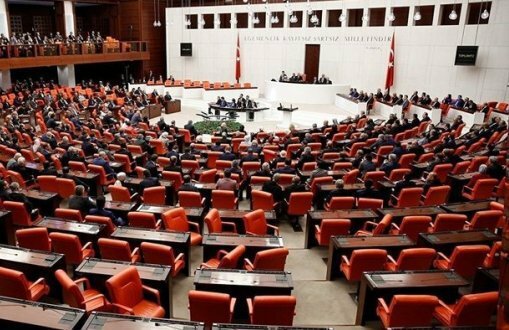 After the Day of the Endangered Lawyer was dedicated to the lawyers in Turkey, main opposition CHP MP Tanrıkulu has submitted a parliamentary question, asking how many attorneys are arrested because of the defenses they raised. Main opposition Republican People’s Party (CHP) MP Sezgin Tanrıkulu has submitted a parliamentary question regarding January 24 Day of the Endangered Lawyer. In his question, Tanrıkulu said that The European Democratic Lawyers (AED), the European Association of Lawyers for Democracy & World Human Rights (ELDH) and the European Bar Human Rights Institute (IDHAE) dedicated the Day of the Endangered Lawyer to the lawyers in Turkey. How many lawyers are arrested, how many are convicted? *How many lawyers are arrested in our country? *What are the reasons of the lawyers’ arrests? *How many lawyers are convicted in our country? #JMAvocatsDanger : A l’occasion de la journée mondiale de l’avocat en danger, @Avocats_Paris rappelle la situation particulièrement difficile des #avocats en Turquie. Résolution du #ConseildelOrdre votée à l’unanimité. le 24 janvier, sera consacrée aux avocats turcs. Attorneys and activists from at least 16 European cities including İstanbul on Thursday, the Day of the Endangered Lawyer, will organize various events to draw public attention to difficulties lawyers in Turkey are facing. Since a coup attempt in 2016, some 1,500 attorneys have been prosecuted, with nearly 600 of them incarcerated, according to the Arrested Lawyers platform. Two hundred sixteen attorneys were sentenced to a total of 1,361 years in prison for membership in a terrorist organization. According to Ankara Bar Association Chairman Hakan Canduran, these lawyers were put under investigation in the first place because some of their clients were terrorism suspects. Some of the arrested lawyers stated they were subjected to ill treatment and torture during detention. Five lawyers jailed in Turkey who were detained in 2017 will go on a hunger strike on Thursday to raise awareness of the unlawfulness they have experienced. “We call upon the Turkish authorities to immediately release all lawyers detained, to unconditionally and immediately drop all charges against lawyers and to cease their orchestrated campaign against the legal profession,” said Russell, who is also editor of the Defend Lawyers blog.